Observation - Orange peel fungus - UK and Ireland. Description: Fungus resembling orange peel found on stony path. 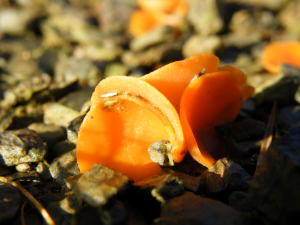 Fungus resembling orange peel found on stony path.